Actress and style icon Marilyn Monroe is known in the fashion world for her trendsetting ways. The blond bombshell enjoyed the finer things in life, from diamonds to designer clothes, and it's pretty well-known that she was a modest size 12. But did you know that by today's standards, that could range anywhere from a size 4 to 10? The range goes to show just how inconsistent our sizing system today is, and Vox broke it down. Lynn Boorady, an associate professor and chair of fashion and textile technology department at SUNY Buffalo State, tells Vox, "Back in the '50s a size 12 was very thin. That was a model [size]. A size 12 then would be about a 6 now." According to Vox, Monroe's 24-inch waist would likely fit into a size 8 at Topshop, 6 at Zara, and 4 to 6 at American Apparel. To prove the inconsistency in sizing, a Vox reporter tried on jeans from different stores, in the same size, with varying results, as expected. The article explains that "in the 1970s and '80s, companies started labeling sizes down and adding lower numbers like two, zero, and now, even a double zero. So the waist measurement that used to be a size 12 became an 8." The system is called vanity sizing and was used as a marketing tactic to lure shoppers into making purchases based on feeling good about their size. Today, Boorady believes, brands create sizing systems based on their target market. "That means brands owned by the same company will have inconsistent sizes. [For example] a size 8 at Banana Republic will have the same hip size as a size 2 at Gap," Vox says. Boorady summed the whole sizing conundrum best, adding, "They're just random numbers—they don't mean anything." Check out the Vox video about vanity sizing below and keep scrolling to shop our Zara picks. 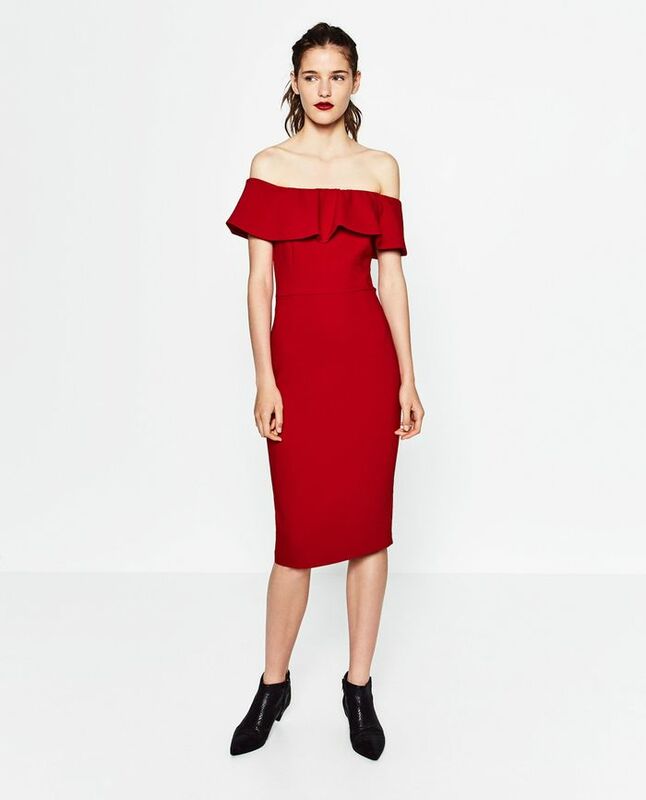 Its bold color and ruffled neckline make this formfitting dress a sultry staple. A classic black knit pullover can be paired with just about anything. The neutral shade of this jumpsuit and billowy fit make this onesie versatile. Which brand can you always count on for true-to-size sizing? Tell us in the comments.